Our Mechanics department is divided into four laboratories each with appropriate environmental control measures, ensuring stable, reliable and repeatable results. Handling difficult tests and unique equipment are among our strengths. From an aircraft engine transport frame to weights no larger than a human hair, we have capability to inspect and calibrate under the same roof, minimising logistic and administrative times. Force standard machines are used to generate a tension or compression of known quantity to a device under test or calibration. This can be achieved at primary level with physical artefacts in a gravity field, or through the use of hydraulic or mechanical amplification and transfer standards at the secondary level. 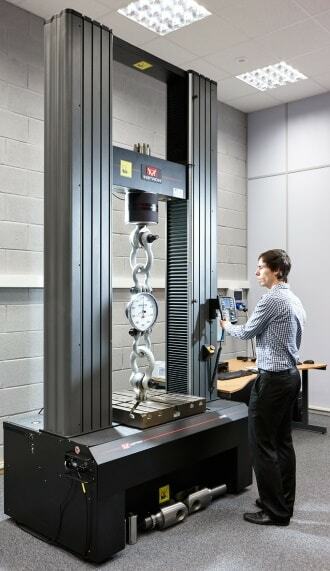 We have the capability to generate and measure 600 kN in tension or compression using a computerised electromechanical machine and also the use of various deadweight systems up to 6000 kg. Calibration test and repair of: Load links, aircraft weighing platforms, spring tests, tension meters, dynamometers, load cells, crimped terminal bond strength, proof loading, durometers. 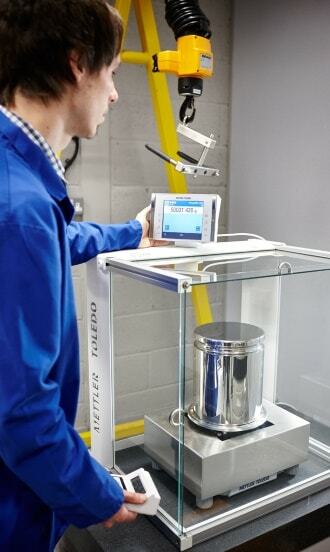 NAWI – Non Automated Weighing Instruments are instruments used to determine the mass of an object in a gravity field. They also require the intervention of an operator. We have a number of standard mass and delta weight sets from E2 to M1, which allow us to check and calibrate weighing systems, including the internal rounding of the instrument from laboratory analytical balances to small weighbridges based on EN45501. Calibration test and repair of: Analytical balances; postal scales; general scales and balances; weighing platforms; pallet scales and trucks. Mass is determined by comparing an artefact in air on a reference weighing instrument that reads proportional to the gravity field acting on the artefact, minus a reduction in force as a result of the air displaced by the artefact. By convention an artefact manufactured to OIML R111 will not deviate by more than predefined limits when compared in air under specified air density conditions. Our E2 capable laboratory has accreditation from 50 kg to 1 mg using high precision, quality reference weighing balances and precision stainless steel mass standards from E1 through to F2. Calibration of: Conventional mass manufactured OIML R111; Artefacts and mass objects; Newton weights; deadweight components and weight sets; Test machine weights. Torque is a measure of how much force acting on an object causes that object to rotate. It is centred about an axis or pivot point, and the distance from this point to the point where the force acts is called the moment arm. We have two systems for the test and calibration of torque devices: one is based on BS7882 for the calibration of torque measuring devices and uses Primary radius ended beams and Newton weights, correctly adjusted for local gravity and air buoyancy contributions; the other is based on BS6789 and uses loading jigs and reference transducers for the calibration of hand tools. 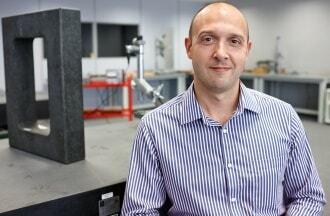 Calibration of: Torque analysers; torque hand tools; torque testing machines; multipliers. Metrology is the science of calibrating using physical measuring equipment to determine the physical size of any given object, or the distance from a point or surface. Equipment for this purpose is sensitive to fluctuations in temperature as a result of its construction materials' thermal expansion properties. We have two dimensional laboratories, both strictly temperature controlled. Both laboratories have dedicated test stations to allow the efficient inspection of tooling and to minimise handling and thermal transfer during inspection. All tooling is acclimatised to 20 degrees Celsius before calibration can commence. Our primary stations include standalone, high-quality granite tables and associated equipment, universal measuring systems, gauge block comparator systems, profile projection system, dedicated small hand tool stations with reference plates and measuring standards. 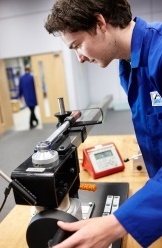 A summary of some of the vast range we can calibrate: Angle & box plates; surface tables; vee blocks; height gauges; micrometers; (slips) gauge blocks; verniers; callipers; bore gauges; setting rods; squares; levels; rulers; (DTI) dial gauges; thickness gauges; plug gauges – plain and screw; ring gauges – plain and screw, thread.